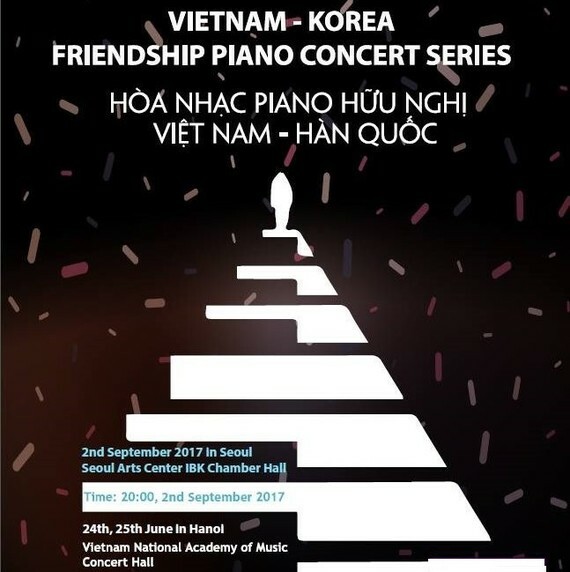 The Vietnam-Korea Friendship Piano Concert featuring well-known pianists of the two countries will be held at the Vietnam National Academy of Music in Hanoi on June 24-25. 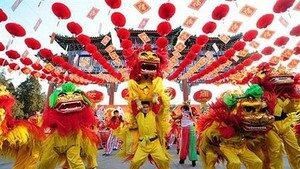 Artists from South Korea, such as Sang Jung Lee, Yung Hea Chun, Ji Sung Lee, Joo Hee Joo, Yeon Kyung Cho, Sun Young Yun, Young Hee Park, and Vietnamese musicians, Tran Thuc Anh, Nguyen Huy Phuong, Dao Trong Tuyen, Nguyen Hoang Phuong, Nguyen Trinh Huong, Dao Thu Le, Tran Tam Ngoc will join the performance. They are Professors and Musicians who are teaching at South Korean and Vietnamese art schools. Several South Korean musicians have won international prizes at major competitions recently, such as the first prize of the 2015 Chopin competition in Poland. The artists will present to music lovers works of W. Mozart, F. Chopin, F. Liszt, S. Rachmaninoff, C. Saint-Saens, especially the premier of “Suite for 4 pianos”, written by musician Dang Huu Phuc exclusively for the concert. After two nights in Hanoi, the artists will perform at another Vietnam-Korea Friendship Concert in Seoul, Korea on September 2.